Each year o2 Group works with the Colorado Technology Association (CTA) to put together the APEX Awards and DEMOgala. This was the 8th year of the gala and it was the biggest turn out to date! DEMO strives to bring together the best new ideas and start up companies to show the Colorado community what these innovative technology entrepreneurs are doing, and to honor and celebrate their accomplishments. Start ups and established businesses of all sizes gain recognition from peers and access to connections that lead to success and growth. o2 Group is proud to be associated with CTA and DEMOgala. As a technology-focused company we were able to have a booth at DEMO and be the production sponsor. The event went seamlessly, and our event crew did a great job putting together a memorable APEX awards dinner and day full of DEMOnstrations and info sessions. As a new addition this year, o2 Group offered live streaming for each segmented “breakout” session. With so many great topics to choose from, we didin’t want people to miss out on valuable information. Even though the event is over, you can still see each of the DEMO sessions. 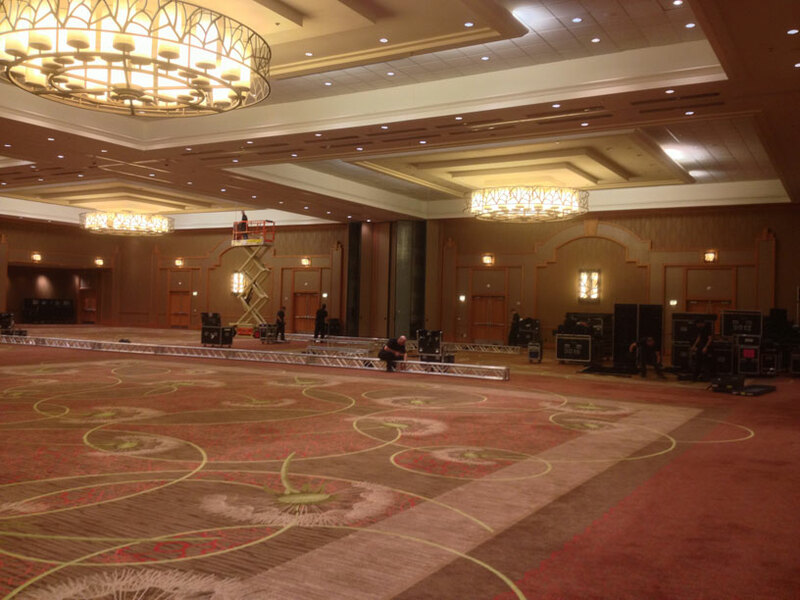 Below we’ve included a photo of the initial stages of the event setup. To see “after” photos of how the venue transformed, visit our Facebook page!